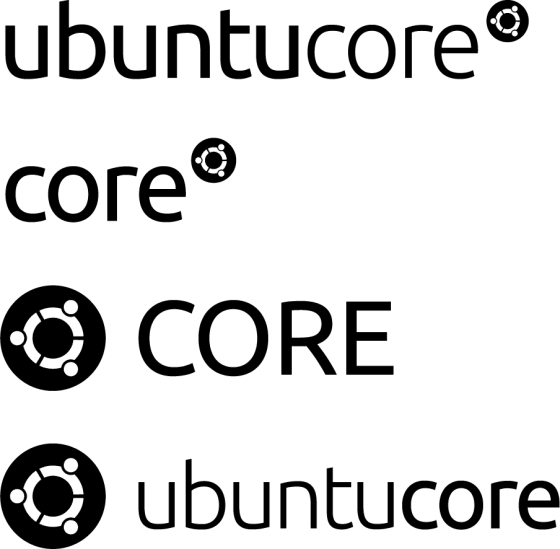 Recently the brand team designed new logos for Core and Ubuntu Core. Both of which will replace the existing Snappy logo and bring consistency across all Ubuntu Core branding, online and in print. Use the Core logo when the Ubuntu logo or the word Ubuntu appears within the same field of vision. For example: web pages, exhibition stands, brochure text. Use the Ubuntu Core logo in stand alone circumstances where there is no existing or supporting Ubuntu branding or any mention of Ubuntu within text. For example: third-party websites or print collateral, social media sites, roll-up banners. The Ubuntu Core logo is also used for third-party branding. 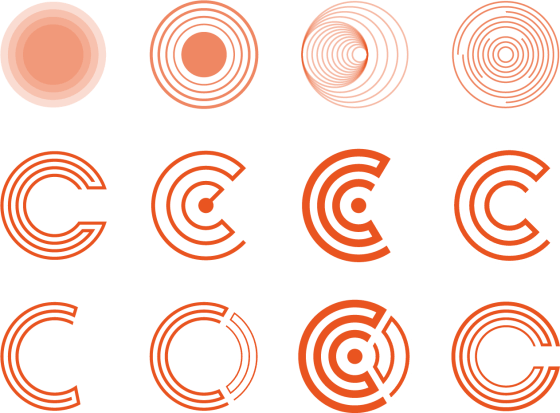 Extensive design exploration was undertaken considering: logotype arrangement, font weight, roundel designs – exploring the ‘core’ idea, concentric circles and the letter ‘C’ – and how all the elements came together as a logo. Design exploration using concentric circles of varying line numbers, spacing and line weights. Some options incorporating the Circle of Friends as an underlying grid to determine specific angles. Design exploration using the Circle of Friends – in its entirety and stripped down. How the logotype and roundel design sit together. Full sets of Core and Ubuntu Core logo artwork are now available at design.ubuntu.com/downloads.